Here's another wonderful set I purchased directly from the owner of the Radiophile collection (Google "Radiophile antique radios" to see this record player). The deep, glossy Bakelite finish is impeccable so you know it's been treasured by its former owners. 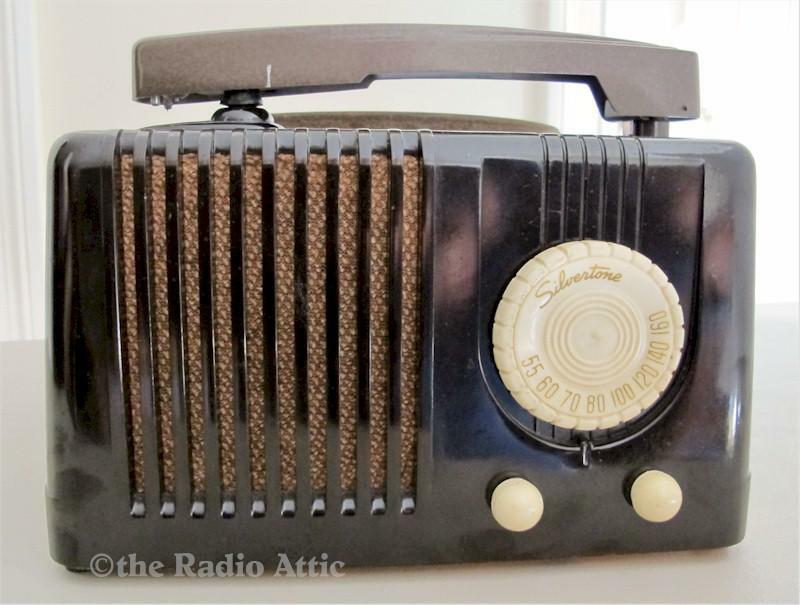 The radio plays wonderfully because it's had an excellent restoration. Although the turntable spins, records do not sound great. Perhaps a new needle or cartridge are required. It includes a 45rpm record by Skeeter Davis (woo-hoo) and adapter but also plays 78rpm records. It weighs 10 pounds and measures 10"W x 13"D x 7"H.